We offer a full range of private and group lessons for all – from Tiny Tots to advanced riders. Our minimum age is 4 years and we provide private and group lessons. If you are an experienced rider, or a rider returning to the saddle, we do require that you have a private assessment lesson before joining any of our Groups. For young novice riders, we recommend that they join Group lessons to develop and build up the skills to ride confidently in the presence of other horses. This is a basic skill needed if you ever want to participate in riding activities involving other riders such as events or hacking. Group lessons allow riders to watch others doing excercises and they also often establish strong friendships between riders which give support. Younger riders typically join the Lead Rein classes (LR1 and LR2), which include walk, trot and canter with a leader for assistance. Lead rein lessons are 30 minutes long. Once they have developed the skills and independence in their riding, they progress to join the Junior Group Lessons (J1 to J5). Parents may choose to supplement their children’s riding lessons with private riding lessons which can improve specific skills as required. Adults start typically with private lessons and can progress into Group lessons a required. Riding is a physical and tiring sport and our experience is that absolute novices or very young riders often do not have the strength or stamina for long lessons.The youngest riders need to do shorter lessons to start with if they are going to enjoy their riding experiences. Progress takes time and for confidence to develop, it is vital that you do not rush yourself or your child through the basic levels. Our programmes and horses are chosen by the instructors to meet the skills of each rider. Our children and adult group lessons and are divided into set levels reflecting the experience and capabilities of the riders. Lessons are 45 to 60 minutes long. Experienced riders will need to have a private assessment lesson before joining a Group Lesson. Please note that if only two people are in a group lesson, it will be converted into a 45 minute semi-private lesson, and if only 1 person is in a group lesson, it will be converted into a 30 minute private lesson. Private lessons are offered daily for all abilities and are ideal for riders who would like to work intensively on their individual goal. Lessons are between 30 minutes and 60 minutes long. We also offer semi-private lessons for 2 people. Bring a friend! Instructors also provide lunge lessons to both advanced and beginner riders. Lunge lessons help balance and confidence, but also allow the rider to concentrate on single aspects of their riding. Enjoying a warm down after your lesson is a great way to relax with your pony or horse. 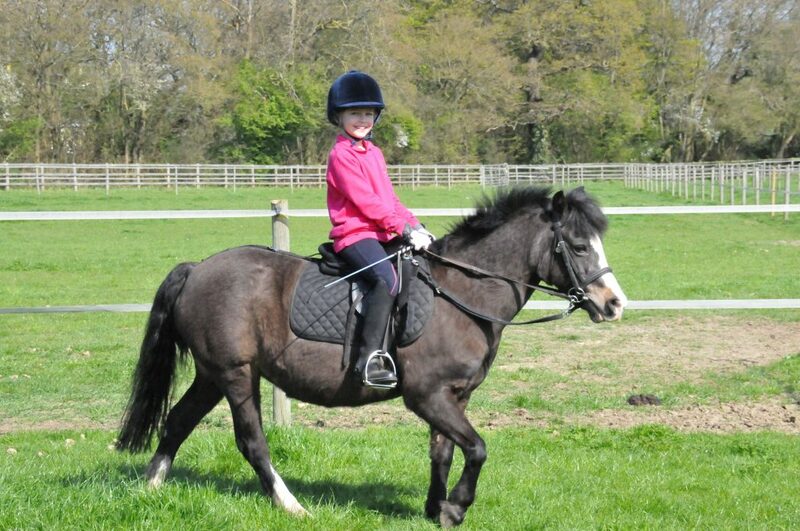 Young riders aged 4 to 6 years typically join the Tiny Tots Lead Rein classes (20 minutes). At age 5 and above, dependent upon their confidence and riding ability, they join the 30 minute Lead Rein classes (LR1 and LR2). These are small friendly groups where confidence can be built by riding with a leader for assistance. Adults and older children will learn best by starting with private lessons, after which they can move on into suitable group lessons if they prefer. The 45-minute J1 lessons are designed for riders who are just starting to canter independently. All other group lessons are 60 minutes long. Please note that if only two people are in a group lesson, it will be converted into a 45 minute semi-private lesson, and if only 1 person is in a group lesson, it will be converted into a 30 minute private lesson. 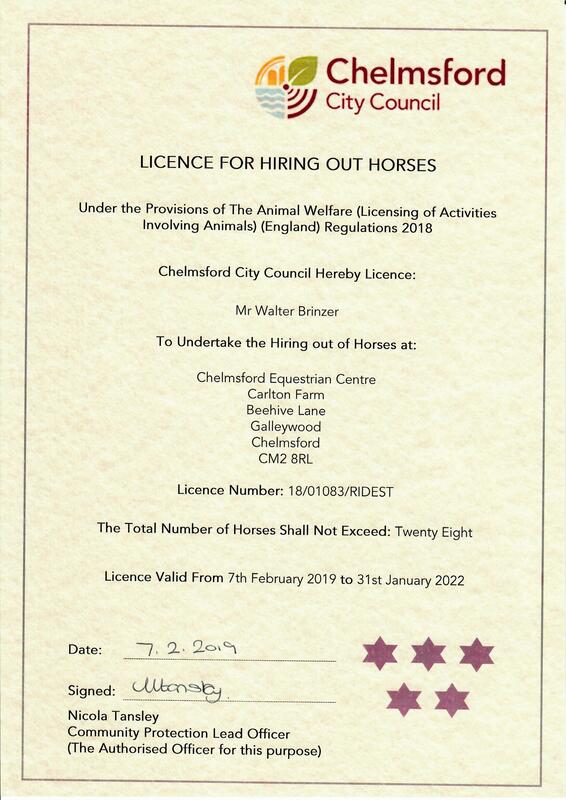 We offer training for the BHS Stage 1, 2 & 3 riding and care exams. There is a 1 hour group riding lesson on Tuesday/Wednesday/Thursday (the time is dependent upon what exam you are training for). Please call the office to discuss your exam training requirements, or for details of our stable management courses. All riders must wear riding hats to the current safety standards, riding boots and gloves to ride. We also advise riders to wear correctly fitted body-protectors; these are compulsory for certain events such as Cross-Country Training. Shoulders must be covered please, so no strappy tops; short sleeved t-shirts are fine. Your legs must be fully covered whilst riding, so we recommend jodhpurs, leggings, jeggings or tracksuit bottoms. We don’t advise jeans. When the weather is cold please take off scarves to ride and no hoodies please. Long hair must be tied back and no jewellery please. Even if you are a spectator you are required to wear suitable footwear whilst on the yard. No flip-flops or open-toe shows please. Feel free to call us if you want to chat about what to wear, but don’t worry, to get you going quickly, we have hats and boots available for a fee of £1.00 each, whilst gloves are available to buy from our reception.